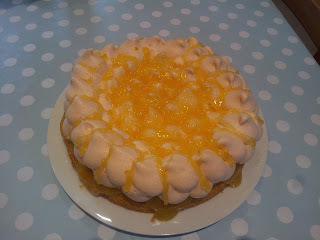 The theme for the most recent Leeds Clandestine Cake event was "Ooh You Tart!" where we had to create a cake inspired by our favourite tarts. 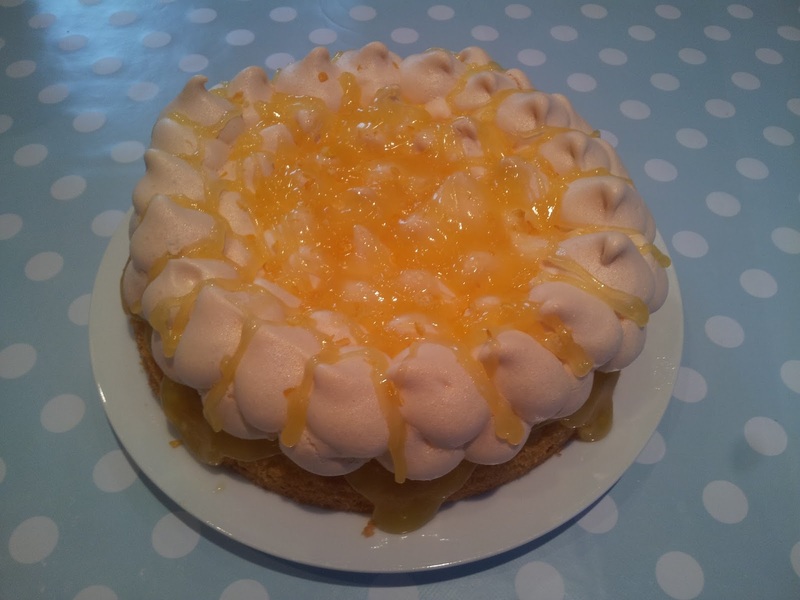 Now I love a nice lemon dessert and after talking to a fellow CCC comrade on Twitter she suggested I make Lemon Meringue Pie. 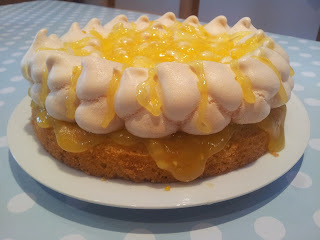 Now this recipe is totally made up but it looks good and tasted good and sometimes they are the best bakes. I just followed my gut with this one and I'm really please with how it has turned out. Next time I might add lemon zest to the meringue before baking just to give it that extra lemony zing! I also abandoned the mixer for this cake and gave my arms a good workout creaming the butter and sugar by hand and using the balloon whisk for the rest. Sometimes it's nice to do things by hand although when it comes to buttercream or bread dough I'll always use my mixer! I think next time I will make my own lemon curd but for this one shop bought stuff was fine. 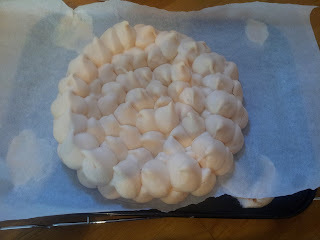 Once cooked the meringue should be a creamy/very light brown in colour and the shell will be firm to the touch. Cream the butter and sugar until light and fluffy and then add about 3/4 of the lemon zest. Mix in the end of the flour mixture and eggs and make sure you scrap the bottom of the bowl so it is all combined. 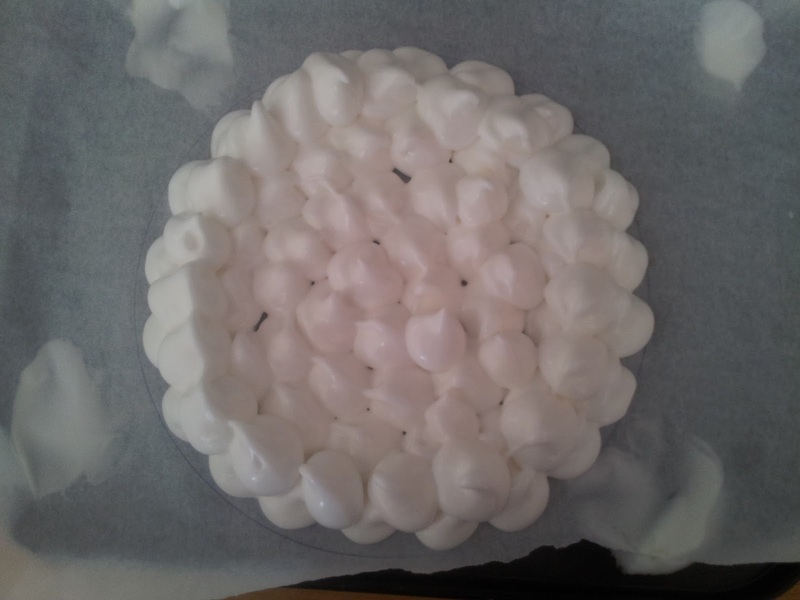 Pour the mixture into the tin and place in the oven for around 25mins until a skewer inserted comes out clean. Now to assemble the cake - the easy bit! Turn the cake face down on your cake stand/plate/board so you are working on a nice flat surface. Spread a generous amount of the lemon curd on the top of the sponge using a palette knife and encourage it to drop down the sides of the cake (this will give an oozing effect once the meringue is on top). 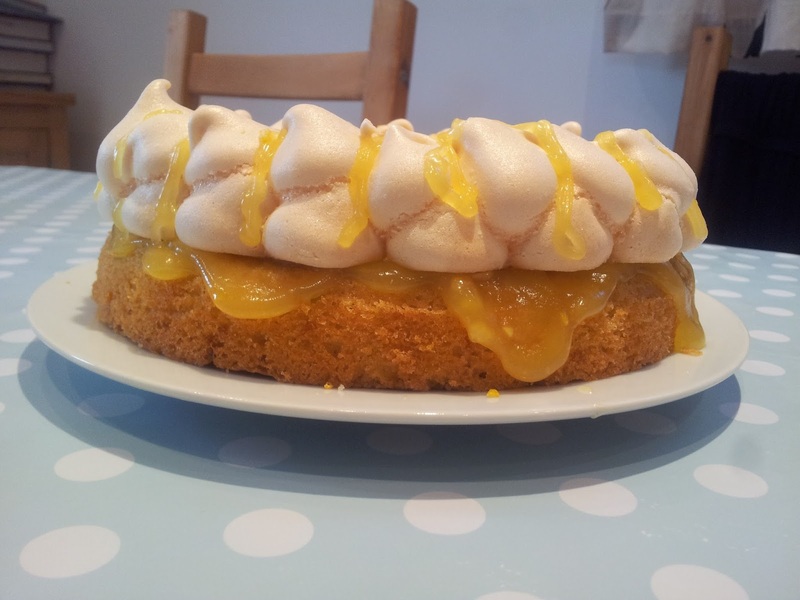 Fill a piping bag with the remaining lemon curd and drizzle over the top of the meringue. Try to avoid spreading it with a knife or you will risk breaking the meringue. 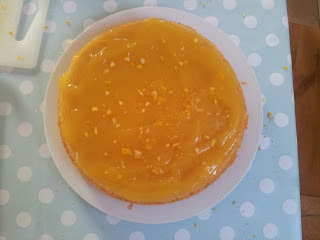 Sprinkle over the remaining lemon zest and that's it - easy!